Would you ever work with a contractor who isn’t insured? 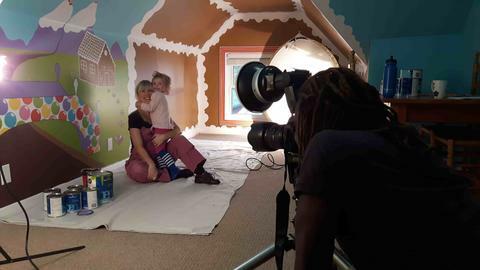 I’ve always been insured so my clients are protected in case I spill paint while creating my hand-painted murals or they trip over my tools while I’m hanging my wallpaper murals. Thankfully I’ve never had to use it! My insurance company, Bullfrog Insurance, called me one day. My mind began to race…did I forget to pay my premiums? Were they cancelling my insurance for some reason? Why do our brains go to the worst case scenarios? But Garry said they were featuring 4 small businesses (that are currently clients with them) in an ad campaign. And they were wondering if I was interested. They created 8 larger-than-life billboards around Hamilton, Ontario supported with a video interview and lots of posts on Facebook. Doing the photoshoot for the billboard was so much fun. They were super patient to work with. We got interrupted by the dog, my daughter…and my nerves too. They definitely made me feel like a superstar and created an afternoon that I’ll never forget. I even got a couple fun, behind the scenes pics! 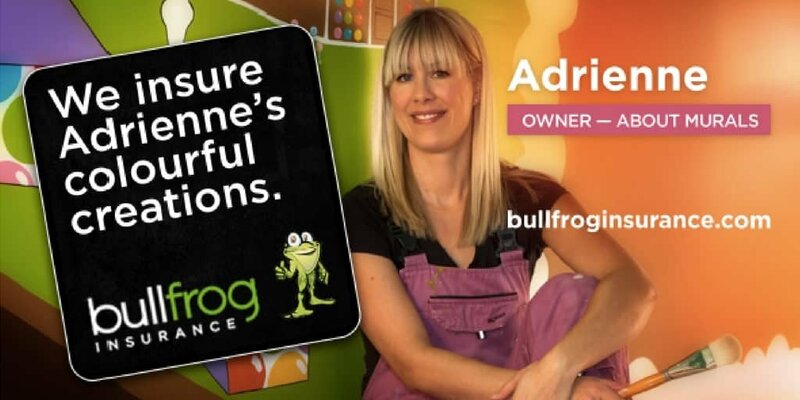 Once the photoshoot was over, the Bullfrog Insurance crew interviewed me for the video. 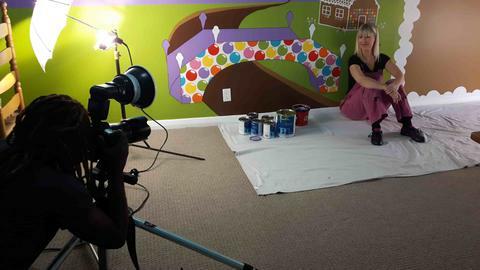 They asked questions about my biz, how I got started painting wall murals and how I got into selling and hanging wallpaper murals. Of course, they asked how it was to work with Bullfrog Insurance, too. 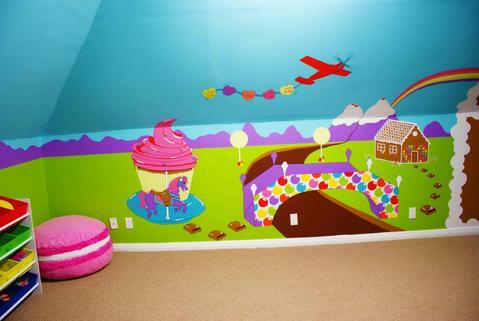 I had so many people love Audrey’s Candy World mural, that I repainted it in watercolor and turned it into a wallpaper mural. 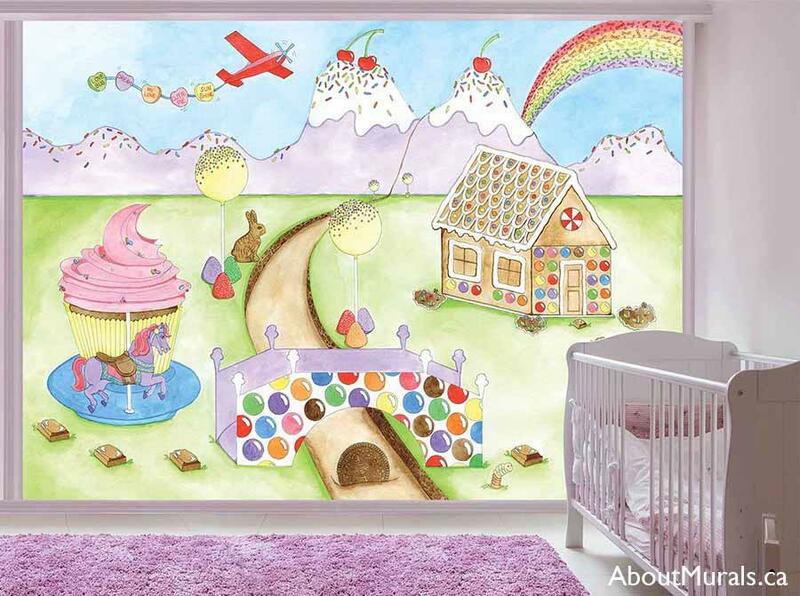 Now I can share the playroom she loves with anyone around the world! I’d love to have you in my newsletter community! I share hot coupon codes, inspirational pics and DIY tips. 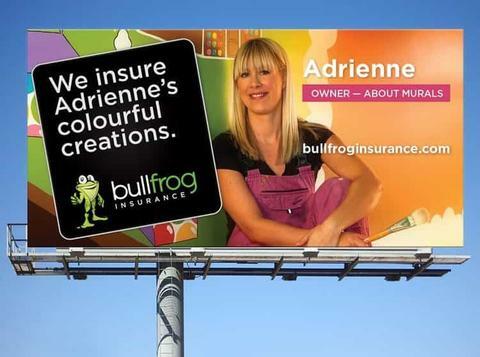 I’m so grateful that Bullfrog Insurance is around…not only for this awesome opportunity to get the word out about my wall murals. But also that there is an insurance company that chooses to work with and insure the little guys in business.